Services from WLE Logistics are many and varied. They depends on your requirements. Our services are as flexible as a helicopter! We have a Jet Ranger helicopter and can match you quickly with pilots and operators who can deliver for you. Why not check its capabilities? VIP travel – to help your key people travel efficiently to your locations. 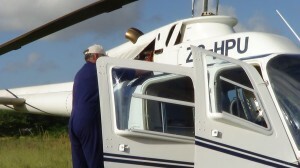 Aerial Surveys – to help you identify and maintain your business options in Southern Africa. Light cargo – to help get your key items to where you need them. Why not Contact Us and see how we can help? If you are not sure if our services are a good match for your needs, why not investigate our consulting service. However, Jet Rangers are not suitable for several tasks. Our consulting service can link you with people with other helicopters, that may be more local to your needs. See what our Chief Consultant has done. See what other helicopters we can help you access. If you see that our services fit a helicopter your needs, then we are really happy to help. We have most experience in delivering helicopter solutions to isolated areas. Why not contact us? 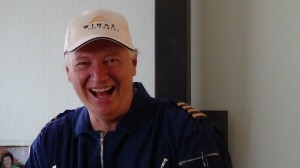 Our helicopter pilot Andrew Shipton has experience of Bell Jet Ranger, Eurocopter Squirrel B2 and B3, and Bell 407 helicopter. He has over 2000 hours of flying experience in such countries as Mozambique, Gabon, Zambia and many others. Andrew is a South African citizen and is one of our key advisors. We aim to deliver the best solutions to you. Why not contact us? WLE Logistics Ltd is a Company Limited By Guarantee number 6619088 registered in England and Wales. WLE Logistics Southern Africa (Pty) Ltd is company number 2011/116625/07 registered in the Republic of South Africa. Copyright ® 2013 WLE Logistics. All rights reserved.